Interoperability is expected be a key focus for EHR systems and the physicians who use them in 2016. We asked Micky Tripathi, founding president and CEO of the Massachusetts eHealth Collaborative, about the latest important developments on EHR interoperability and how they may impact your practice. MMS: Tell us what the recent “KLAS” agreement means for physicians? MT: The recent summit meeting (hosted by KLAS, the independent health information technology review organization) was a unique private sector initiative to establish objective “Consumer Reports” style measurements of interoperability performance across EHR systems. The summit brought together 10 major EHR vendors as well as 30 large provider organizations from the around the country. Over an intensive two days, the group achieved consensus on a measurement approach and process to be conducted by a credible, neutral organization. The measurement process will be the first comprehensive measurement of nationwide interoperability capturing both provider and vendor attributes. In other industries, the private sector comes together to hold itself accountable by working collaboratively on transparent measures of progress. The KLAS agreement represents a significant step forward in the maturity of the health IT industry. MMS: How will we know when interoperability is working? MT: When people stop complaining about it! Just joking. Interoperability isn’t a single thing – it’s a general term that describes different types of information exchange appropriate to a particular purpose. For example, email is very good for certain types of communication, but is a very poor substitute for those times when only a phone call will suffice. Similarly, sometimes a provider wants to have a complete medical summary sent to them, in which case they would want to receive a continuity-of-care document, whereas at other times they may just want to check on a medication allergy, in which case a “magic button” single-sign on viewer would be most important. Both types of exchange are important, each is appropriate to the specific clinical need. Interoperability is already working very well in some areas — as (the science fiction author) William Gibson reportedly said, “the future is already here, it’s just not very evenly distributed.” Take electronic prescribing, for example — a huge success across the country. Similarly, lab results delivery is very widely available in most health care delivery areas across the country. EHR-to-EHR exchange has been harder to accomplish because it relies on coordination of many different vendors as well as many different providers. Even here we’re seeing tremendous progress though. The Massachusetts Health Information Highway has over 500 provider organizations connected and conducts over 2 million secure health information exchange transactions per month. However, interoperability will never be “done.” As information technology gets better and medical advances continue, our expectations will grow as well. We’ve seen with computers and smart phones that the more they do, the more we want. The same is true for interoperability as well. MMS: What timeline do you expect in terms of seeing widespread improvements in interoperability? MT: We’re already seeing them. It’s important for us to have some perspective though. Just like you can’t have a good telephone network until most people have a telephone, you can’t have good interoperability until most providers have an EHR. A short 5 years ago, less than 10% of physicians had an EHR. That number is now over 75%, and for hospitals it is now over 90%. So, why do we think that we should have universal interoperability already, when just a couple of years ago most physicians didn’t even have an EHR? No other industry has achieved it that fast, and yet, no other industry is as complex as health care. The biggest barrier to interoperability until now has been lack of demand — physicians weren’t asking for interoperability because they didn’t have EHRs and because prevailing models of care and payment didn’t require interoperability. The world is different now, and physicians are demanding interoperability from each other and from their vendors, and we’re seeing the market respond. Within the next few years I think we’ll see close to nationwide ability to send clinical documents to any provider in the country, and we’ll see the maturation of nationwide health information networks that also enable query and retrieve capabilities as well. These networks are already emerging rapidly – like Epic’s Care Everywhere, Surescripts, CommonWell, the MA HIway, etc – and in the next few years we’ll see the building of “bridges” across these networks in the same way that phone networks and ATM networks are stitched together to provide universal coverage. MMS: Do you think some regulation or a government mandate is inevitable down the road? MT: I hope not. It would be a terrible mistake, and I guarantee that most physicians will be very unhappy with any kind of government mandate for interoperability, whether at the state or federal level. Health care and IT are too complex to expect that the government can get it right or keep up with it. The best prescription for getting more interoperability is to expand value-based purchasing through Medicare and Medicaid that pays for better care and improved outcomes. That will create more demand for interoperability but will allow providers and their vendors to come up with the best ways to accomplish it. With the October 1 deadline for the implementation of ICD-10 looming, The Centers for Medicare & Medicaid Services (CMS) and the American Medical Association (AMA) today jointly announced some good news – and relief – for physicians. The two organizations have reached agreement on important elements of a “grace period” for the implementation of version 10 of the new International Classification of Diseases that includes some 68,000 codes. The medical codes, used for diagnosis and billing, have not been updated in more than 35 years. • For a one-year period beginning October 1, Medicare claims will not be denied or audited solely on the specificity of the ICD-10 diagnosis codes provided, as long as the physician submitted an ICD-10 code from an appropriate family of codes. • To avoid potential problems with mid-year coding changes in CMS quality programs for the 2015 reporting year, physicians using the appropriate family of diagnosis codes will not be penalized if CMS experiences difficulties in accurately calculating quality scores. CMS will continue to monitor implementation and adjust the duration if needed. • CMS will establish an ICD-10 Ombudsman to help receive and triage physician and provider problems that need to be resolved during the transition. • CMS will also establish an ICD-10 communications and coordination center, to identify and resolve issues arising from the transition. • CMS will authorize advanced payments if Medicare contractors are unable to process claims within established time limits due to problems with ICD-10 implementation. The organizations also said they will reach out to providers across the county, with webinars, on-site training, and educational articles to help them learn about the new codes and prepare for the transition. The free help from CMS also includes the Road to 10, The Small Physician Practice’s Route to ICD-10, a website aimed specifically at smaller physician practices to help them with the transition. Today’s CMS/AMA joint announcement may be read here. More information on ICD-10 is available at this CMS site and from this post by AMA President Steven J. Stack, M.D., which contains links to additional information and resources. Barriers to interoperability continue to be main challenges to moving the nation’s health care system beyond simply making electronic silos of information from paper ones, according to experts at the recent annual meeting of the eHealth Initiative. The recent Meaningful Use Program started with three goals for the identified stages: Stage 1: data capture and sharing; Stage 2: advance clinical processes; and Stage 3: improve outcomes. Stage 1 of Meaningful Use, as painful as it has been to some independent practices, is generally considered quite successful in fostering electronic data capture. It has moved the use of electronic medical records from single digits in the pre-Meaningful Use period to an estimated 70 percent nationwide today. Unfortunately, it appears that both Stages 1 and 2 have largely failed in the primary objective of “sharing,” moving health data security to the right place at the right time – especially among dissimilar systems. If improved interoperability can be achieved via this federal roadmap, such a system would support more efficient and effective healthcare and lead to a continuously improving health system that empowers individuals, customizes treatment, and accelerates cure of disease. On the heels of the release of the government’s document, the eHealth Initiative held its yearly meeting last week, bringing together physicians, administrators and other national experts to focus on how this plan could be implemented in real clinical environments. EHR vendors and providers can no longer ignore interoperability. New secure interoperability software is on the near horizon and mobile devices will be the focus. Patients will soon be included as active partners in their healthcare and possess some or all of their records on their smartphones. Wearable sensor devices like Fitbit will become more clinically connected and able to provide useful clinical information. Early pilots in telemedicine are moving toward standard operation, especially chronic disease management, benefiting from advances in sharing technology. Although there seems to be little impetus for additional “checkbox” Meaningful Use requirements, it appears efforts will shift throughout the industry, within provider communities, and at CMS to push forward with interoperability improvements. The Board of Registration in Medicine today gave its final approval to new regulations, strongly supported by the MMS, interpreting that law in a way that allows physicians many options in how they demonstrate proficiency in the use of electronic medical records. The new regulations will go into effect January 2, 2015, but all physicians renewing their licenses before March 31, 2015 will receive a one-time waiver from the requirements. In addition, physicians with renewal dates up to 60 days after March 31 could submit a renewal application prior to March 31, and be within the window for an automatic waiver. The regulations establish multiple ways in which physicians would be in compliance with the requirement. There are also a broad set of exemptions for certain license categories, where electronic health record use is intrinsic or not relevant. Read full details of state’s new EHR proficiency requirement and exemptions here. Today’s action successfully culminates a two-year effort to work with the Board to interpret the state legislature’s 2012 law connecting federal Meaningful Use and a Massachusetts medical license in a way that did not disenfranchise thousands of physicians. Some of the Commonwealth’s premier experts in health information technology and electronic health records gathered recently at MMS headquarters to take part in the day-long continuing education event, Electronic Health Records Next Chapter: Best Practices, Checklists, and Guidelines. During Marcus’ transitions, staff were responsible for making sure critical information, such as demographics and medication lists, was transferred immediately. But high school students to copy over the rest of the material over a long time period. EHRs do far more than simply house patient records, noted Hugh Taylor, MD, a family physician at an 11-doctor practice with three sites throughout the North Shore. In fact, out of the 17 functions Taylor listed that his EHR performed, the last four had little to do with practicing medicine. “The EHR does many things that don’t affect the clinician so directly but are extremely important to how the office runs,” he said. Examples of these functions included scheduling, confirming insurance coverage, coding and billing, and tracking patient flow. That last item pulls double duty in Taylor’s offices, he said, by helping the practice inform patients when doctors are running behind and of how long they may have to wait. This data is also used to help the practice strive to improve its Press Ganey patient satisfaction scores, he said. 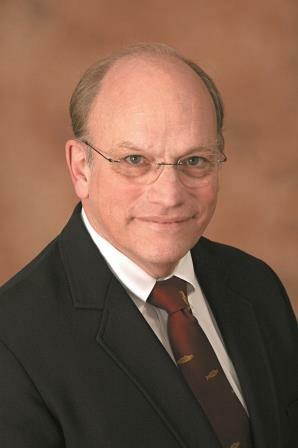 Larry Garber, MD, and his team at Reliant Medical Group, where he serves as Medical Director of Informatics, pulled together a list of which individuals should do the documenting in the medical record, in order of preference, to promote optimal efficiency. “It doesn’t have to be just one person; it can be a combination of people,” he said. Next, Garber recommended letting patients populate some of their own data. Even triage nurses speaking with patients on the phone can contribute to the record, placing them in the third spot of preference. “What a great place to take history without tying up an exam room,” he said. Rounding out the list of preferred documenters were medical assistants, doctors assisted by speech recognition, doctors assisted by transcriptionists, doctors typing, and scribes typing. When it comes to accuracy, Garber noted that physicians who use a combination of typing and speech recognition tend to produce the highest-quality notes. More information about the event and links to faculty presentations are available online. Those are the “three” most important activities doctors should do to protect the security of their patients’ electronic protected health information (ePHI), says cybersecurity expert Ali Pabrai, a presenter at MMS’s recent conference, Electronic Health Records Next Chapter: Best Practices, Checklists and Guidelines. Encryption is the conversion of data into a form that cannot be understood unless the reader has a key or password to unscramble the information. All sorts of electronic transmissions should be encrypted—including texts and emails—no matter what the device, said Pabrai. If data is encrypted, even if you have a security breach, it is protected. As more and health information moves between the cloud and mobile devices, organizations will increasingly need to focus their security efforts on those two areas, according to Pabrai. Healthcare data fetches a high price on the black market because it is so rich in identity information. Cyber security attacks to all types of businesses are occurring at a breathtaking pace: the average organization experiences 1,400 attacks per week and of those attacks, approximately two accomplish their purpose, said Pabrai. HIPAA fines for information security breaches can run into the hundreds of thousands and even millions of dollars. “Physician practices are more vulnerable to HIPAA fines than ever before,” said Pabrai. Often, organizations don’t know their systems have been broken into until months after the thieves have left the premises. Assign someone in your practice to be the security or compliance officer. Make sure they have access to the appropriate resources to do their job. Conduct risk analyses regularly, ideally on an annual basis. Develop a security strategy and policies and document them. If HHS’s Office for Civil Rights investigates a security breach, the first thing they will ask is to look at your policies, said Pabrai. Secure third parties: make sure your business associates are protecting your patients’ ePHI to the same degree you are. Train your staff so they comply with your cyber security rules and regulations. For an overview of what’s required from healthcare providers to comply with various aspects of the HIPAA Privacy and Security rules, the U.S. Department of Health & Services offers six free, CME-eligible online educational programs. Read an update about this issue here. The Massachusetts House this week approved changes in state law that would disconnect medical licensure from a physician’s use of electronic health records. The issue has been a major focus of the MMS’ advocacy efforts this year. Under current law, effective Jan. 2015, physicians who wish to renew their license must demonstrate that they utilize EHRs that are at the level of the federal government’s meaningful use program. MMS President Ronald W. Dunlap, MD, has met several times this year with legislative leaders, and cautioned that if the requirement is enforced, more than 10,000 physicians could lose their license, most of whom cannot, under law, qualify for Meaningful Use incentives. The resulting impact on the health care system would be devastating. The House language would instead require practicing physicians to demonstrate that they use “digitized patient-specific clinical information.” Practicing physicians who don’t use digitized health records would be given the opportunity to demonstrate that they know how to use such records, by a method to be determined by the Board of Registration in Medicine. Following a recent meeting between MMS President Ronald W. Dunlap and House Ways and Means Chairman Brian Dempsey (D-Haverhill), the House approved the language Wednesday by a very wide margin. Unfortunately, the Senate’s supplemental budget bill did contain not such language, so the matter now heads to conference committee, where Chairman Dempsey has indicated will be a strong advocate for the substitute language. We’d like to extend a big thank you to Chairman Dempsey and the House of Representatives for their actions this week.